Bali Adventure Packages is our special product that offers various types of adventure during your holiday in Bali. 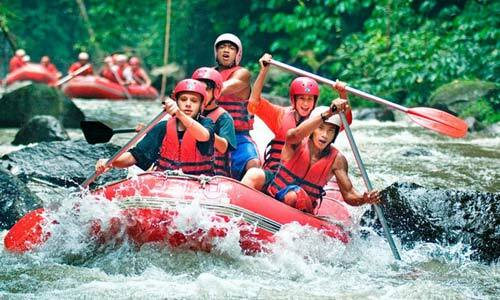 Bali Adventures Package also offers some exciting adventure and full of challenging and fun. Explore the ford of Bali natures walk encircled by the beauty of natural nature with mutifarious of flora and fauna, see the friendliness of Balinese resident in the rural area and explore every corner of Bali land and also we will take you to the hidden of Bali paradice Island By joining our service. This tour has provided the interesting adventure such as Bali ATV Riding, Bali Buggy Riding, Cycling, Highest peak trekking, Volcano Trekking, Jungle Trekking and also Visit Komodo dragon At Komodo Island with competitive rate. Join and participate from one of the perfect choice adventure gives you the memory which is not fallen into oblivion and later tell to others. Bali Trekking Adventures is an exciting trekking adventure to bring you to the wonderful experience on your holiday in the Mountains or volcano of Bali. Trekking in Bali is the best choice to enjoy the natural beauty of Bali. Bali Cycling Adventures is an exciting adventure by paddling the mountain bicycle descends the hilly land, turning to enter the Balinese rural and see natural atmosphere of the village with the social society life, friendly and full of religious. Bali Buggy or Bali UTV Riding are the most challenging adventures to explore the pure natures of Bali with tropical atmosphere surround it. The vehicles are specially designed for hard track which are very easy to use in wet condition, muddy and reliable control to maneuver jumps. Bali ATV Riding are the most challenging adventures to explore the pure natures of Bali with tropical atmosphere surround it. The adventure will bring you to the exciting experiences by driving special vehicle of ATV to penetrate obstacles such as muddy ground, the bushes, little river and etc.